Happy New Year friends, and thank you for being here with me this past year at lifeinbetween.me! 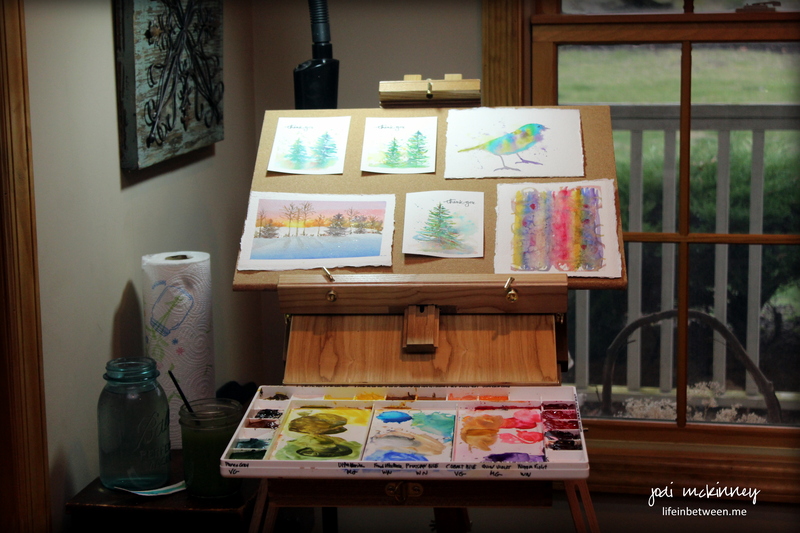 I had fun with one of my Christmas gifts from hubby – my new art easel – one day this week on my holiday break and spent a little time watercolor painting. 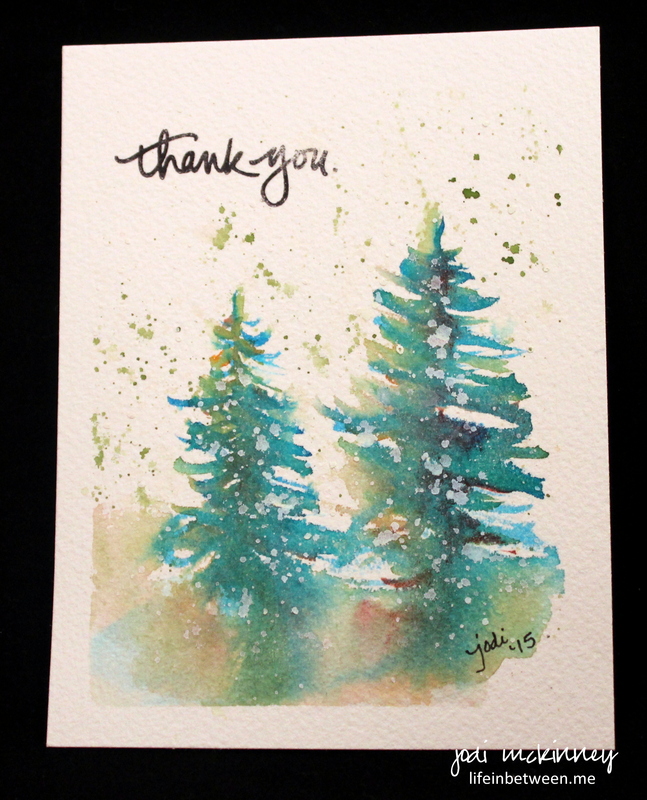 so I goofed around with a few loose pine tree designs that I can copy and create cards from. What lovely cards Jodi. Happy New Year! Thank you Lynn! Happy New Year to you too! Happy New Year to you too Laura! I had a wonderful birthday 🙂 I kinda like the landscape too as they have really been a struggle for me. I want to continue to try them. Doesn’t look like a struggle at all from here! 😀 Glad you had a great birthday! PS I’m curious if you saw Angela Fehr’s YouTube on pine trees! I remember trying pine trees last year and having a really tough time but her video helped. If you didn’t see it, I’m even more amazed because your style is a lot like hers in the fade out at the bottom, and the loose feel of this. There is soooo much great stuff from lots of generous people on YouTube, and I know you enjoy it too, so I thought I’d ask. YES! I did! and that is what inspired me to try those trees. I’m impressed that you see the likeness – LOL! I just discovered her and love her style. I may consider doing some of her online classes! There is so much great stuff on YouTube! So many tutorials – so little time – haha! You did a great job with that video!!! I tried so hard in ’14 and wasn’t too happy with my results lol. Yours look really great! True, this was before I switched to good paper, but I’m past trees for the moment and obsessed with animals now. Maybe by next Christmas that’ll change but man, trees are challenging I think in any medium. I bet someone could spend a career just on trees! Hehe! I’m glad they worked out for you. They are tough. But animals. Wowza. I wouldn’t say that is easy!! lol me too! will be fun to see where our HeART 🙂 leads us! Thank you Kathy! I feel the same about you my friend! 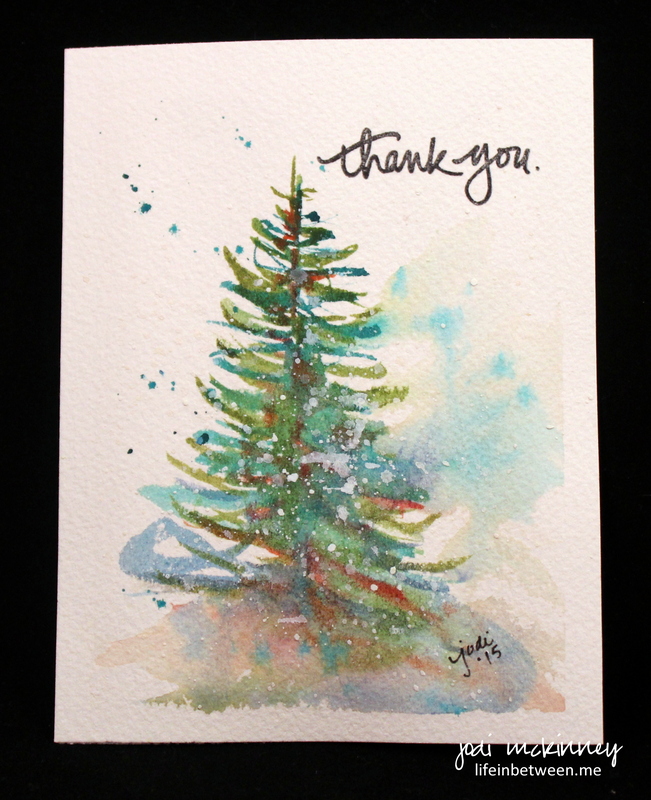 The trees are my favorite paintings of yours so far Jodi! Really nice~ have fun with your new easel! Thanks Jenna! 🙂 I loved doing them! Loved playing with some different colors to create them. 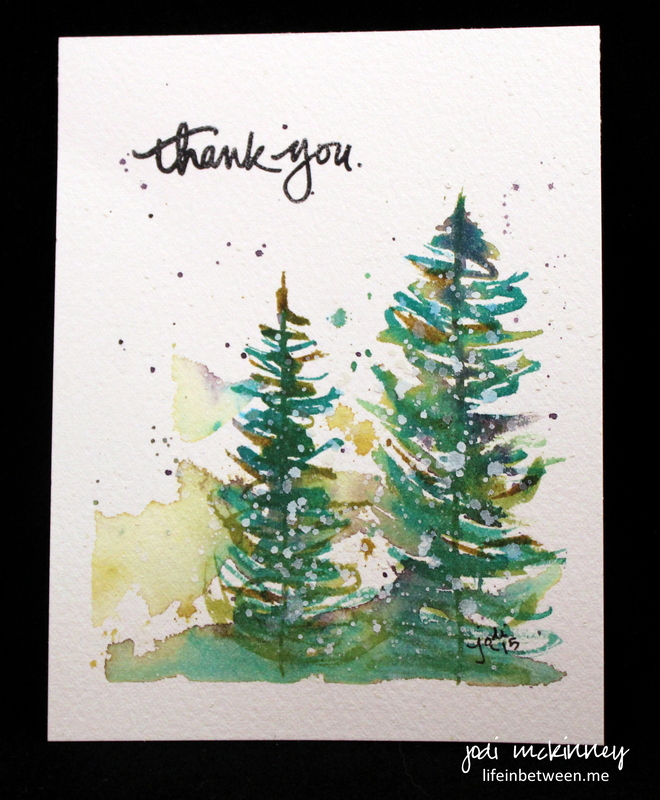 I just love, love love, the pine tree thank you notes!! Awesome! And I LOVE the new easel! I can hardly wait to see all the new paintings you present to us this year! Happy New Year Jodi and may you have a very blessed new year! 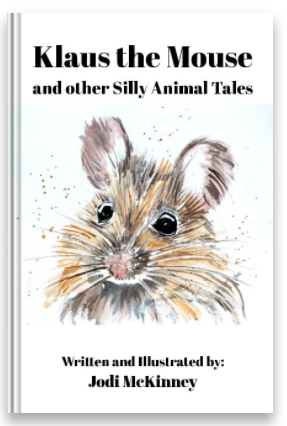 And a big THANK YOU to you too, Jodi for your wonderful blog, paintings, recipes, photos etc. Thank you for sharing them with us! Happy New Year to you and yours! Happy New Year! Looking forward to following you and your creations in 2016! Woot! Hi Jodi, I love your new easel set up. I can see that there will be many paintings to come. Today’s trees are exciting, I really like your loose and free strokes. Happy New Year to you too! ! Ryoma Good luck of many friends. Beautiful and warm wishes to you, as I treasure the moments I think of you! Happy New Year Jodi. Wishing you and your family all the very best for 2016! Not jealous about the easel at all!!! lol! Enjoy. Happy belated Birthday and a very Happy New Year to you Jodi! I too love your trees and your script type, so pretty-the perfect accent. Your easel is wonderful what a thoughtful gift! I’m looking forward to more trees and yummy treats and who knows what from you creative lady! Thank you Cathe! and I look forward to all the beauty you create too! Awh! The feeling is mutual Charlie O! Hi Jodi, great gift! Thank you for all your lovely posts, photos and recipes! A fun coincidence…at the mall yesterday an artist was painting trees (and selling his finished pieces). My daughter & I enjoyed watching him work. Love your trees too! Wow – thank you sweet Catherine for putting such beautiful words to this! and for the very kind comment! Happy new Year! Thanks so much chryssa! hope you are doing well and wish you a happy new year! Thank YOU, Jodi, for all you share with us. Love, love, love your blog! Happy New Year!! Oh Carol – thank you for making my day with your kind words! Happy new Year! Oh debi – I am almost embarrassed for you to see my “art,” yet you are so kind! Are you really thinking of coming to US and near me?!??! Jodi, again, one of the things I so admire (tho there’s many!) is you just Risk it! never be worried about my ‘opinion’ 🙂 I really want to see my sister this summer. so, I’m 75% made up my mind. not sure which state you’re in, so? Oooh…I was just thinking this morning I need an easel. Lucky you! Love the easel! What a great gift. I see you are already creating beautiful things with it! I love it too! Do you use one? I usually work flat. I have one that I bring out when I work with acrylics, but I’m a little awkward with it. I’d love to use it more this year. Thanks for sharing with us, Jodi! I always enjoy your blog, and it’s one of the few that I make the time to read every single day. It always makes me smile and always has something positive to offer. 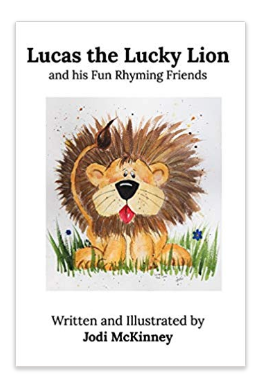 And that’s a gift from you to your readers. Looking forward to another great year! Oh Ann! There you go again – making my day! Sweet words like this encourage me so. We all have good and bad in our lives, but if I can find at least one positive thing to appreciate and share each day, that is my goal, and I am so glad you appreciate. I greatly appreciate you. Thank you for your gift to me that you read it every day. Ohhhh I LOVE these….fabulous cards!